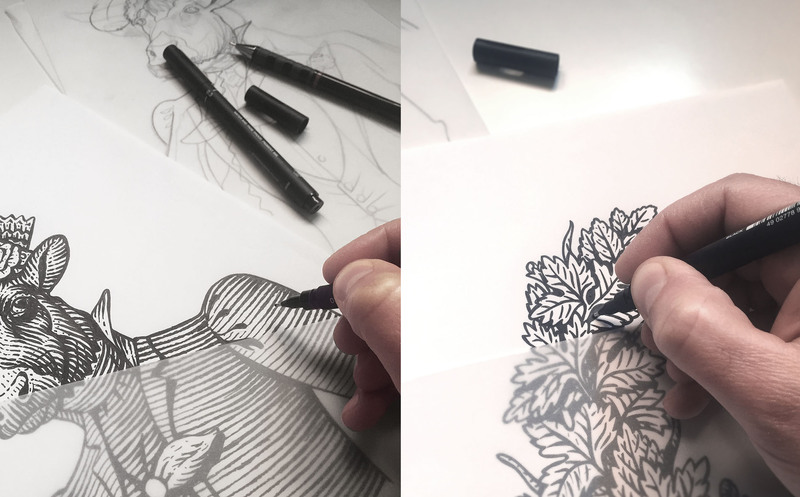 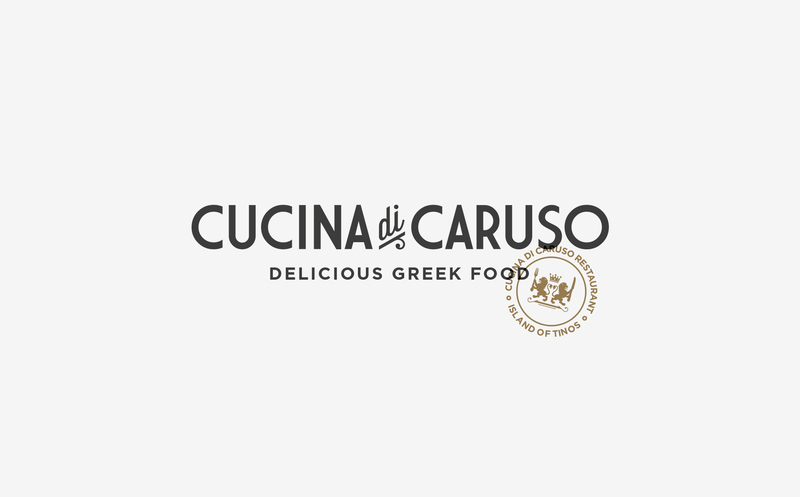 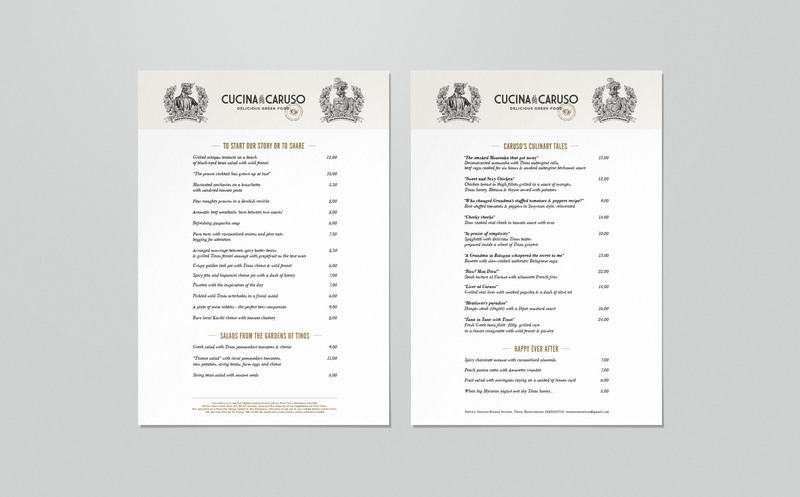 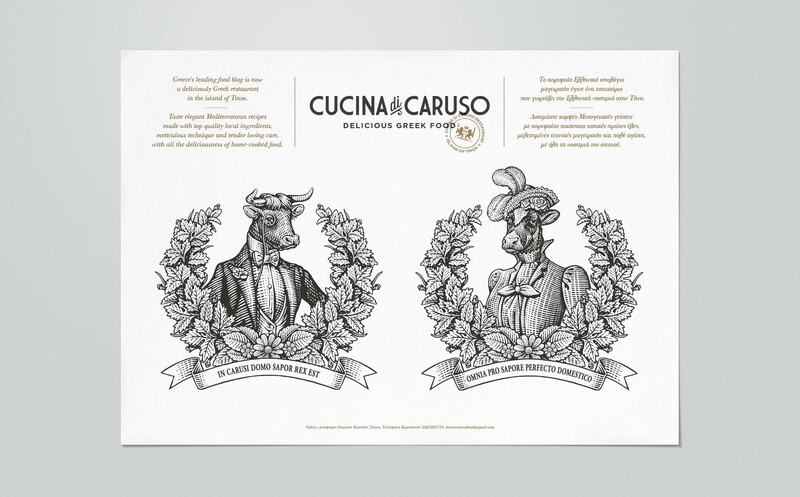 The top Greek food blog Cucina Caruso was opening a pop-up restaurant with emphasis on meat and needed two illustrations for its visual identity. 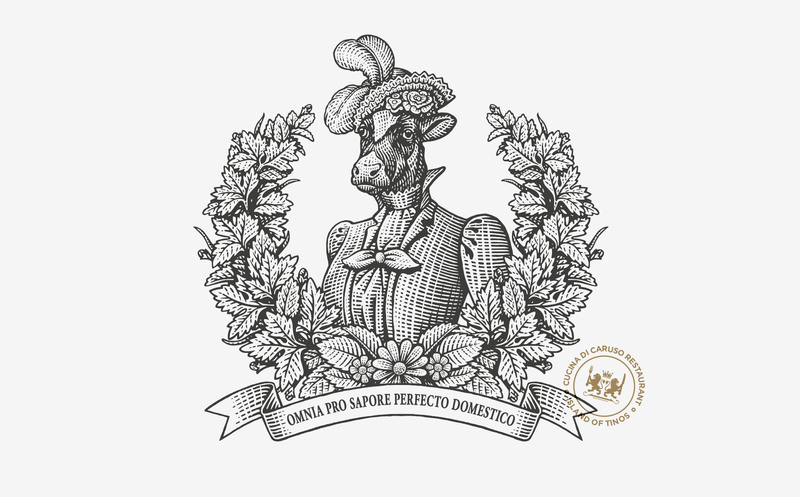 They had to be in line with the blog’s design style, using ink illustrations and woodcuts in a tongue-in cheek manner. 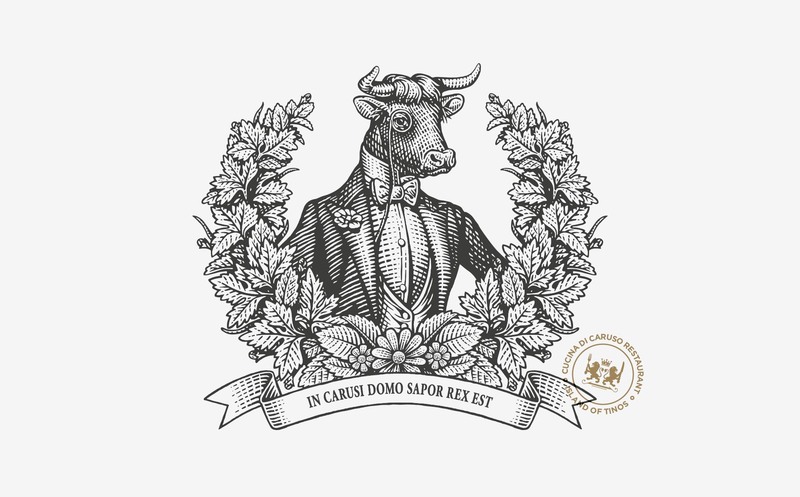 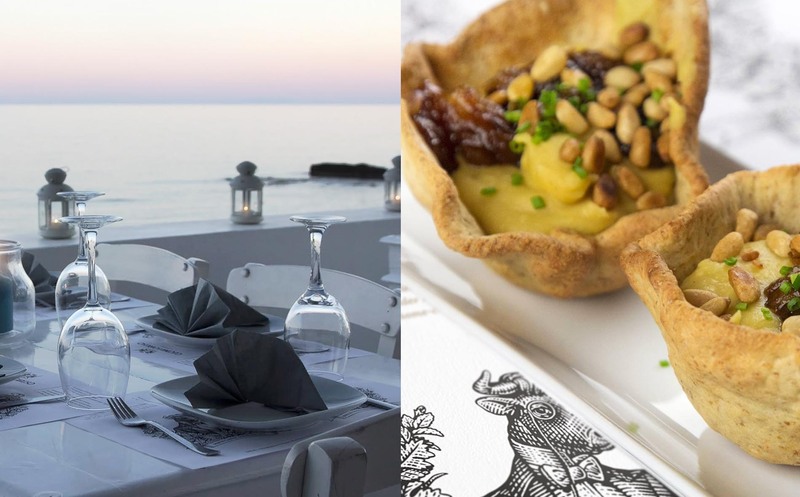 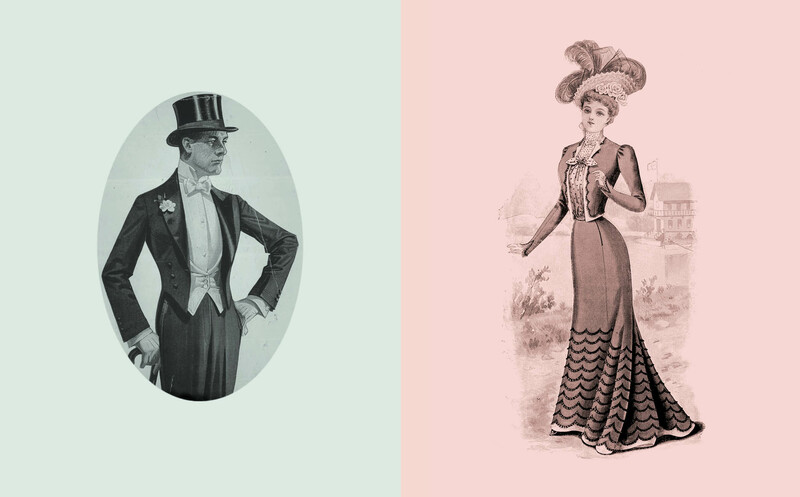 Mr. and Mrs. Caruso were designed as bull and cow portraits with the restaurants mottoes in Latin to create fun conversation pieces as they were applied to placemats and the menu.